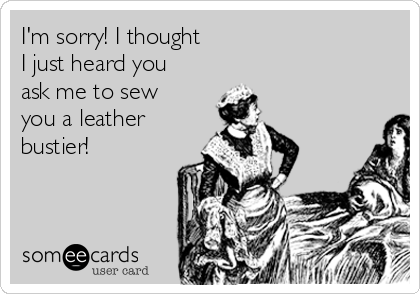 I don’t know about anyone else, but however much I love sewing, and however much fun I have while sewing, there is still a feeling of dread about it. I hate ironing! 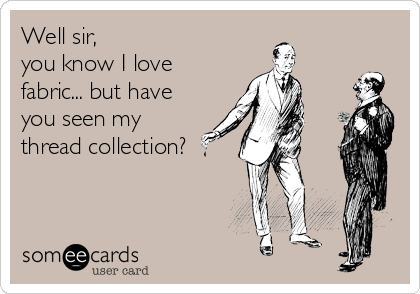 I mean, it is literally one of my least favorite things! I wish I could afford to pay someone to just do the ironing while I keep sewing! You know, typically I feel pretty good about sewing, but when I quilt with smaller pieces I know that it means a lot of ironing! I don’t know why I hate it, but I just do. 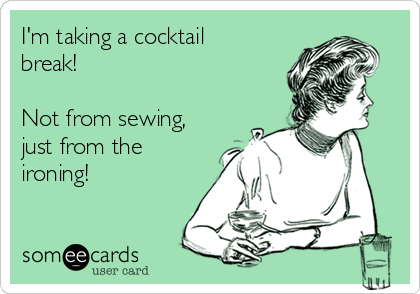 Especially when I sew during the warmer months! In the winter I cn get away with more ironing before I start to get queasy, but during the summer, it is the largest deterrent from sewing! I guess if it is the only downside to making all of my fun projects, I guess I will just have to deal with it! So what is everyone’s least favorite part of their craft? 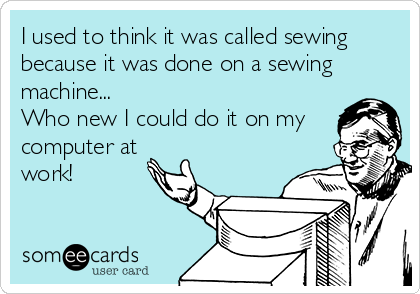 Now, everyone who knows me knows that I sew, and I sew a lot! 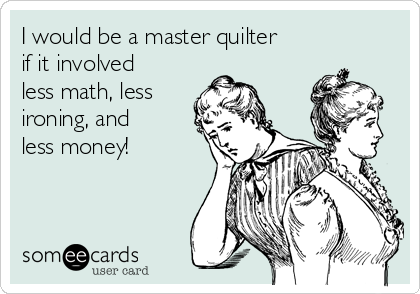 However, these past few days, I feel like I just haven’t wanted to sew. Now, grant it, I have been busy. 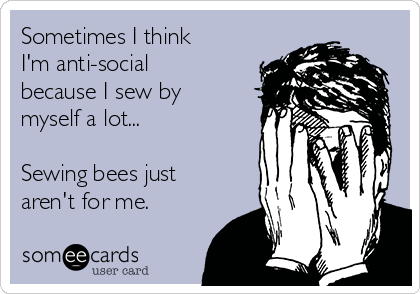 I had to cut a couple of limbs off of a tree and do some yard work, but I just haven’t wanted to sew afterwards like I normally do. It’s not that I am lacking inspiration, but I’m just not really that into getting some sewing done. I think maybe I need a break. The last time I took a break was because I lacked creativity, but this time I think it is because I lack drive. I think I need to take some time off of sewing and recharge my battery. Not sure what I am going to do in the meantime, but hopefully it will be something interesting! 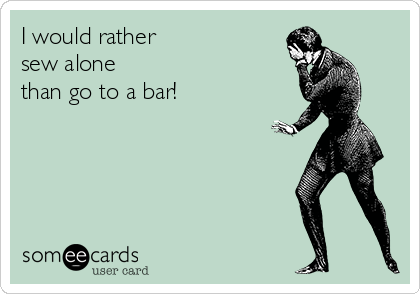 I figure a week dedicated to actual blogging will be a nice respite. What does everyone else do to recharge their battery?